Simply shows a message if plugins are found to be missing after loading a save, for those of us who feel uncomfortable with confirming that message and not knowing everything that is missing (incase Mod Organizer somehow misplaces mods after launching, for example). 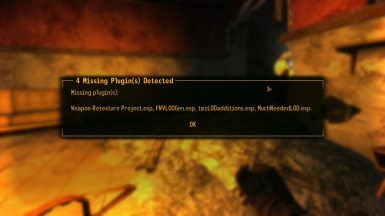 Unlike the Fallout 4 "missing plugins menu", this can't show the message before loading the save and can only track plugins after it is installed. This makes it kind of limited, but it can provide peace of mind.